HRG Presents: Francoise Baylis - Thurs. Mar. 5th and Fri. Mar. 6th! 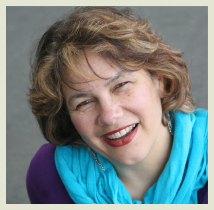 An Evening with Dr. Francoise Baylis - Thurs. March 5th, 7p.m. @ McPherson Lounge and a Bioethics Seminar with Dr. Baylis - Fri., March 6th, 10a.m. @ McPherson Lounge. She is a frequent guest on CBC and Radio Canada and the author of many news stories with a “behind the scenes” look at ethical issues. Author of a number of journal articles such as “Fake it till you make it: Policymaking and assisted human reproduction in Canada,” “The ethics of creating children with three genetic parents,” “The demise of Assisted Human Reproduction Canada” etc. Full texts of her articles can be found on Google Scholar. Baylis spoke out about the Dalhousie Facebook Dentistry Scandal when fourth year dentistry students at the school wrote misogynistic and sexually violent posts to the web. The podcast can be found here and Impact Ethics’ post about gender violence and misogyny can be found here.